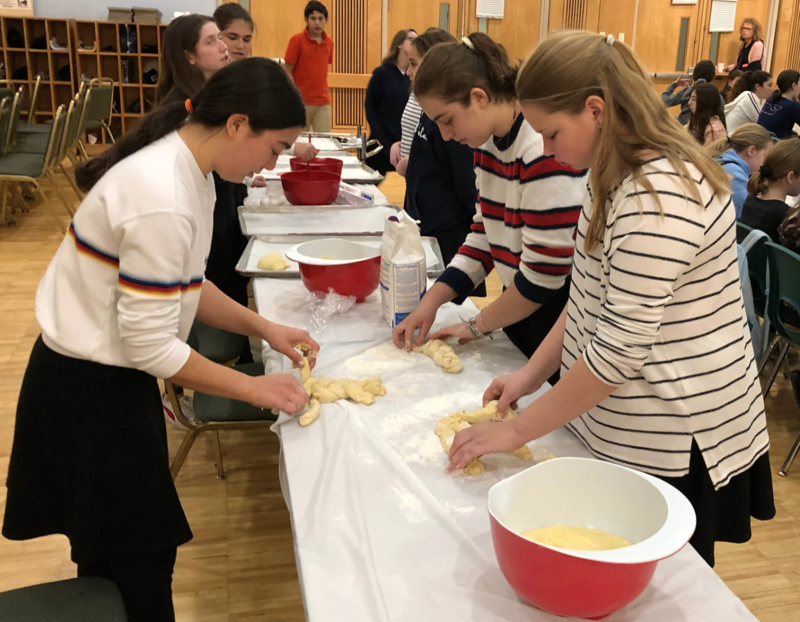 Over the past couple of months, several 8th grade volunteers have been making challah and selling it to the MS community in order to raise funds for various charities. Over time, they've been perfecting their recipes and selling out quickly! Challot go on sale most Thursday afternoons at dismissal - don't miss out!